Italy. Going there has been on my bucket list for forever. However, my recent “dream” vacation there turned out to be a nightmare. I know you wouldn’t have guessed it from my photos (even I have to admit the captures we got were amazing and will be sharing those soon) but the story goes beyond just one or two travel mishaps. The sad thing is, whenever I tell friends who have been to Italy about these things, they’ll admit that they’re not surprised. Our experiences of craziness in Italy were not unique. What?!! Why does no one ever say anything about this BEFORE you visit?! So, to prevent your dream vacation from being squashed (which we’ll be paying off for a while) here a dose of reality. Upon arriving in Italy, we drove to our first hotel Villa Cheli near Lucca. The bathroom had a slight moldy odor but the beds were okay and the hotel provided a special selection of gluten-free items for Frans for breakfast. After having dinner with a relative in Lucca (my sister’s husband’s brother’s wife’s parents 🙂 ) we spent the next day in the picturesque area of Cinque Terra (more on that later). We stayed two nights and then headed off to our next sightseeing destination. Frans had been complaining about a few bug bites but figured that some mosquitoes probably got him. It was just strange that there were three in a row and that they didn’t really itch. We next went to San Gimignano, this was a town we actually did enjoy. I only wish we could have found the alabaster factory that we saw signs for but was never able to locate. As we walked back to the car, I noticed another set of bug bites on the back of Frans’ other leg. Again, there were three but this time in a zig-zag pattern. 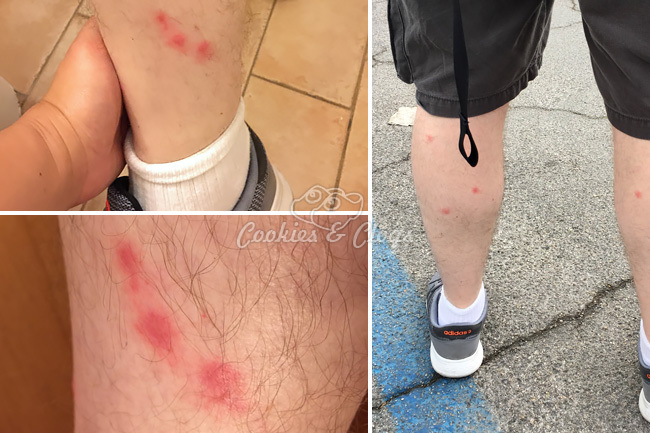 Later, Munchkin and I started noticing more trio sets of bug bites on us, either in a row or in a zig-zag shape. After some heavy Googling, we came to the conclusion that they were from BED BUGS! When we got to our next hotel in Siena, we immediately called Villa Cheli. We were met with a defensive staff member, who brashly accused us for even suggesting that their establishment could have bed bugs and questioned why we didn’t show them to the reception when checking out. We explained that bed bug bites are known for appearing later but that, as theirs was the only hotel we had stayed at so far, we were pretty sure it came from their hotel. As we communicated via phone and email, the hotel flatly denied the possibility, rejected any responsibility, and refused to do anything to help us. They said that they have never had them and they do not now. The bites (which we sent them photos of) must have been from something else in the Italian countryside. While it’s true that the only way to know 100% if it was bed bugs was to find the actual critters. We were already many kilometers away and, based on our interaction, even if the hotel found them we doubt that they’d admit it. They only said that if we presented them with a doctor’s note would they even think of doing anything to help us. Having only three days left of our anticipated vacation and in a foreign country where VERY few speak English, this was just not possible. It’s not our style to rag on a place but, when this property touts their high TripAdvisor rating to international travelers, tourist getting bedbugs and dealing with the aftermath is not something to be taken lightly. Did the hotel even offer to wash our clothes or waive some part of our hotel fee as a courtesy for the possible ruining of our trip? Nope, they said too bad and never responded again. Not 8.4 (on Booking.com) type of service. So, if you decide to stay at Villa Cheli, make sure you check for bugs in your bed or any other issues before checking out. Otherwise, they will toss you out in the dirt if anything possibly comes up afterwards. Not able to fight any more, we took it up with Booking.com and will continue that manner. We had about one hour to explore the entire city of Siena and eat before it was midnight and time to head back to our lodging for the night. 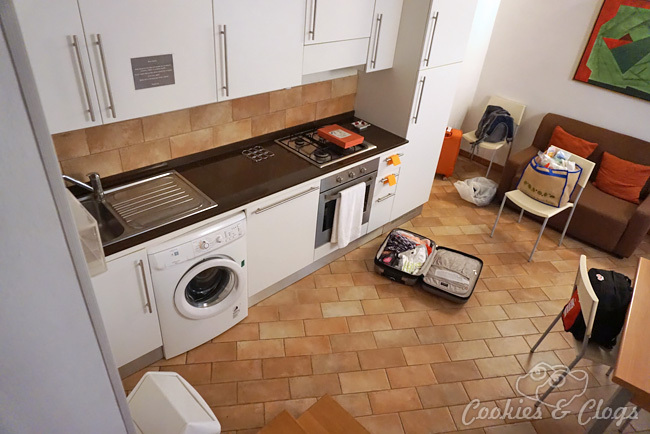 Fortunately the place we were stayed at in Siena, Guest House Paradiso Apartments, was extremely accommodating. Since bed beds are easily transferred, we were so nervous, only sitting on plastic chairs and not bringing our luggage past the entryway. The rental apartment staff, who we called right away to warn them and ask for advice, said to relax, enjoy our stay, and that they had the tools to take care of any critters that might be left behind. There was also a washing machine in the apartment with laundry detergent tabs so we could wash our clothes. If you want a place in the heart of Siena, check out GH-Paradiso Apartments! Hard to get to by car and has three flights of narrow stairs but is a HUGE 2-3 story apartment that’s clean, comfortable, and stocked with toiletries galore. Oh, but wait until you hear what happened the next day and the ones following. Read Part 2, Flat Tire & Fees. Ugh, so you know how horrible it is and then for the hotel to react in such a way can really ruin things. So sorry that hotel treated him like that. It could have even been the person before him but they just didn’t say anything or didn’t know. Yes, we will also check EVERY time we stay somewhere from now on! I know it’s not just Italy but the lack of surprise when I tell people who have visited there is shocking! Also, just wait to see what else happened in our 5-day trip though (written but will space out posting). It was like Murphy’s Law everyday! Bless your heart! I hate that you went through all that. If I ever make it to Siena, I will have to check out GH-Paradiso Apartments. The owners sound like sweet people. This is a good and timely reminder for me – I will be traveling soon and would hate to have to experience bed bugs. Not to mention the bad service from the hotel. So, if you’ll be traveling, do the bed bug check 🙂 It will save you a lot of worry. We never faced it before despite years of traveling but it only takes one incident to give you heebie jeebies! Part 2 & 3 are done and will be up in a couple of days. BTW, where are you going? Got them in Billings Montana at a hotel and they came home in my suitcase and really left bite marks all over my son. I had left my suitcase outside of his bedroom when I got home. Our health dept identified the bug for us at the time in 2007 we had not seen all the news about bedbugs. I got rid of them with some spray I got online and diatomaceous earth food grade I applied around the home wallboard’s etc and got rid of them. They will bite pets too so its so important to get rid of them asap. My son has scares on his body from the bites. The hotel didn’t care nor did their health dept when I called them too. I was there for work and could not stop itching my legs were so red a friend with me bought some lotion to put on them to try and help but I had no idea what it was. I would make sure and put it on the review for the hotel too. Yeah sure, bash a whole country -the same country with the richest world history and which threw the basis of western civilization BTW- on a few bug bites you found on your skin. Until it happens to you, it’s easy to trivialize. I dealt with it last night, my first night in Rome, and to say it’s traumatic is an understatement. If a place has bedbugs and it’s so wide spread here, they should at least warn you about what to do to prevent bringing the bugs home with you or how not to be bitten!!! Yes, Rome needs to get it together!!! I stayed in Milan and tried saving money and sure enough I woke up the next morning and had bites all over me. Word to the wise: spend the extra money and stay in the best hotel possible. Gah! I’m so sorry you had this happen to you too! Yes, that’s definitely a great tip. It’s true that you get what you pay for sometimes. Were you still able to enjoy the rest of your trip? 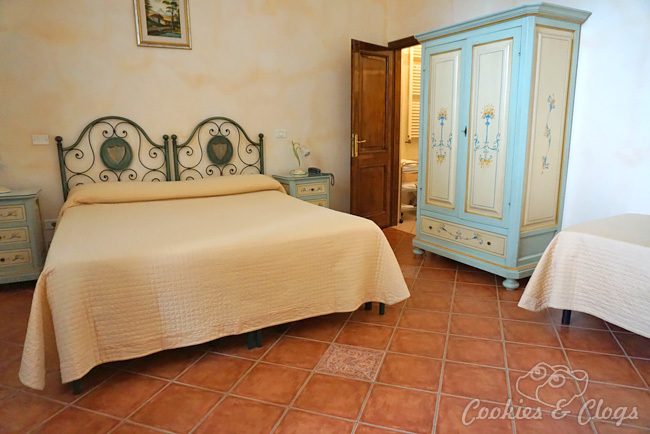 I booked a “B&B” near the Vatican which turned out to be a building that had been walled off into smal rooms. The lady who met me late at night with the Key acted in a hurry because of a child at home. She left and when I entered the room and turned the light on, I immediately saw bed bugs crawling on the walls. I took pictures, immediately exited and called the lady who told me that I must have brought them and there was nothing I could do. Midnight in Rome I am on the phone with other hotels looking for lodging. On my return stateside, I had to work back through the booking website to get credited my deposit, never getting back the booking fee. No doubt, the landlord and the woman who represented them misrepresented the deal. I didn’t get bitten. Glad you didn’t get bitten but what a horrible ordeal to experience on your trip! That must have been so stressful! It’s so strange how some are quick to go on the defense, accuse visitors of foul play, and refuse to accommodate or compromise at all. I hope you were able to find better lodging and enjoy the rest of your time in the area. I guess we were very fortunate. We traveled thruout Europe for 5 weeks, stayed in various lodgings and never experienced anything like that. Someone mentioned before, to stay at a top rated hotel, but Ive red it happens anywhere. Some of the 5 star hotels in NYC have had bed bugs. Glad you didn’t have any incidents! It’s true that bedbugs do happen in other areas since they can be brought in by travelers. But, it’s up to the hotel/motel/b&b to treat it, especially if the area is more prone to get certain bugs. I’ve actually lived in Europe and have (in-law) family there so it’s definitely not how the entire continent is and not EVERY place in Italy has them. However, if you know that there’s a higher possibility in one area for them, it’s good to check first. 🙂 Now we ALWAYS check for bugs when we stay anywhere other than home. P.S. Hope you had a fantastic vacation! What countries did you visit?